At Labconco, we believe in people—the power of our people to make a difference, and the power of each piece of equipment we manufacture to enable the important work of researchers and students in laboratories in the U.S. and around the world. We're glad to check both of those boxes in our partnership with Seeding Labs. Seeding Labs is a nonprofit that delivers gently used hot plates, biosafety cabinets, centrifuges and other equipment to laboratories around the globe that would otherwise not have access to such resources. These deliveries—along with logistical support and training—are part of Seeding Labs' Instrumental Access program. What do these donations actually look like? Labconco’s WaterPro PS and Purifier Horizontal Clean Bench are in use at the University of Embu in Kenya, where researchers are studying how climate change affects ecosystems. 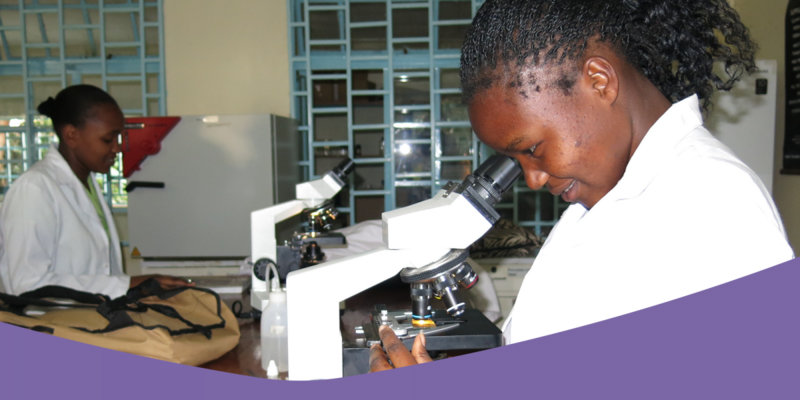 A Labconco PCR Enclosure and CentriVap Vacuum Concentrator are in use at the Chinhoyi University of Technology in Uganda, where researchers work with public health issues such as tuberculosis and malaria. These are just two of many examples of the impact of our donations to Seeding Labs—an impact the people of Labconco are happy to be a part of. "I first heard the Seeding Labs team speak at an LPA [Laboratory Products Association] function several years ago," Pat Anderson, President of Labconco, says. "And the whole idea resonated with me. I realized we had equipment that was perfectly usable but collecting dust, and I knew others could get use of it. We've been involved ever since." Adam Keithley, Director of Channel Management and the organizer of our internal donations, echoes Pat's enthusiasm for Labconco's involvement with the nonprofit. "We were moved by their mission to provide instruments and equipment to those who might not be able to afford it," Keithley says. "We knew that, at times, we had equipment on the shelf in gently used condition, whether it was back from the trade show circuit or some other location. We knew we could make a difference globally and have been thrilled to be part of the Seeding Labs mission. We want to help enhance global scientific discovery, and this is another way we can accomplish that goal."